The president ignores women at his peril. 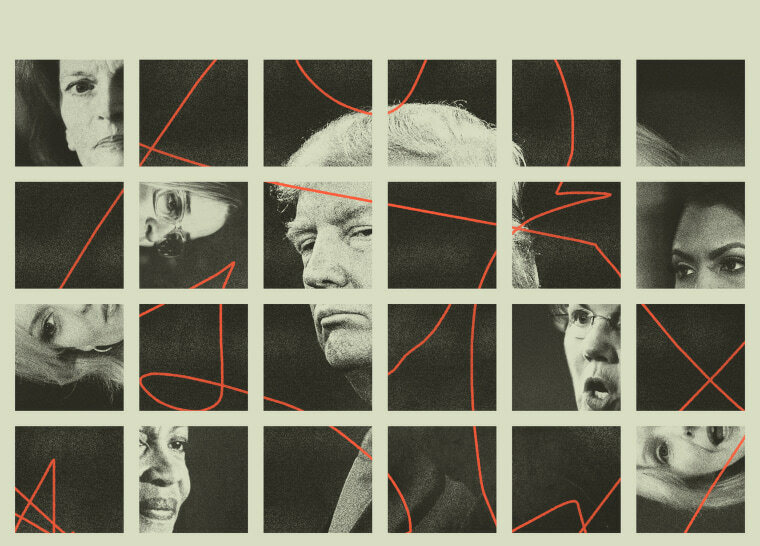 In a presidency riddled with missteps, oversights and disastrous decisions, it’s difficult to pinpoint the biggest mistake of President Donald Trump’s relatively short time in office. But the driving force behind some of Trump's most substantial scandals and failed ambitions is his inability to take women, and particularly women of color, seriously. With Trump blinded by misogyny, it may very well be his rampant sexism that will prompt his public downfall. Case in point, one of the biggest stories in America right now is the battle over Supreme Court nominee Brett Kavanaugh. What seemed like a relatively simple confirmation has been complicated by Dr. Christine Blasey Ford, who came forward with disturbing sexual assault allegations against Trump's candidate. Ford's allegations have called into question, among other things, Kavanaugh's character and capacity to serve a lifetime appointment honorably. A president accused of sexual misconduct by over a dozen women is now watching from the sidelines as a sexual assault survivor puts his Supreme Court appointment in jeopardy. A president accused of sexual misconduct by over a dozen women (Trump denies the allegations), who, according to Bob Woodward, allegedly said you have to “deny, deny, deny, and push back on these women” when you’re accused of sexual assault, is now watching from the sidelines as an alleged sexual assault survivor puts his Supreme Court appointment in jeopardy. (Even Ivanka is reportedly urging her father to “cut bait” and rescind Kavanaugh’s nomination.) One brave woman has positioned herself squarely between Trump and something he clearly craves — a legacy-building conservative Supreme Court. Mirroring his boss, who has categorized women based on their looks and their professions, Giuliani seemed to be under the (mistaken) impression that Daniels could be bullied into silence. And yet, a few months later Cohen pleaded guilty, in the process indicating that Trump is guilty of violating campaign finance laws — at the very least. And yet, Newman has, at the very least, highlighted the White House’s extreme level of disfunction. She may not be in possession of a smoking gun, but she has added several colorful brushstrokes to an increasingly concerning portrait of this administration and its supposed leader. Instead of the American people focusing on what Trump considers political wins — his trade policies and tariffs, the economy, and thawing relations between North and South Korea — many Americans remain focused on the ever-revolving door of White House staffers and the chaos that’s said to be ensuing inside the West Wing. Trump also neglected to respect the tenacity of the women who accused Roy Moore of sexual contact or misconduct when they were minors. Instead of taking Kelly Harrison Thorp, Tina Johnson, Becky Gray, Gena Richardson, Beverly Young Nelson, Gloria Thacker Deason, Debbie Wesson Gibson, Wendy Miller, and Leigh Corfman seriously, Trump endorsed the then-Republican Senate candidate in the 2017 Alabama special election race. Assuming his endorsement would supersede the allegations, Trump defended Moore, saying the American people should remember that Moore "totally denies” the allegations. It didn't work, though. In the end, Moore lost the race to Democrat Doug Jones, the state's first Democratic senator elected in 25 years; a pro-choice, pro-LGBTQ, anti-repeal and replace politician who believes in climate change. With every Democrat elected to the Senate, Trump’s control over the federal government weakens. A similar situation occurred after Jennifer Willoughby and Colbie Holderness accused their ex-husband and former White House staff secretary Rob Porter of spousal abuse. Trump quickly backed Porter, stressing Porter’s claims that he was innocent. “I think you also have to remember that. He said very strongly yesterday he’s innocent,” the president said. But after the Daily Mail published a protection order obtained by Willoughby and pictures of Holderness with a black eye she claims was caused by Porter punching her, he became one of the dozens of officials to leave the Trump White House. Once again, the country’s collective attention turned to the chaos and turnover plaguing the Trump administration, questioning not only the administration’s moral integrity but its ability to handle security clearances and how they're obtained. But Cruz’s criticism has since been vindicated many times over, and history will surely remember the administration's efforts in the wake of Maria as a deadly disaster. And now, Trump’s Supreme Court nominee is in jeopardy. Nominating conservatives judges is one of Trump’s most important — and more feasible — campaign promises. In fact, there are plenty of conservatives out there who held their nose and voted for Trump purely because they didn’t want liberal-leaning justices. It's very possible that the president’s nomination will ultimately rest in the hands of two female Republicans Senators, Alaska's Sen. Lisa Murkowski and Maine Sen. Susan Collins. On Dec. 6, 2017, Murkowski called for then-Senator Al Franken to resign in the wake of sexual harassment allegations, as did Collins. Now both Murkowski and Collins are being urged to oppose Kavanaugh’s nomination in light of the allegations brought against him. Trump has tried to bully Murkowski before, blasting her on Twitter after she voted against the GOP’s attempt to repeal and replace the Affordable Care Act. That strong-arm strategy didn't work the first time, and it's unlikely to work again. From former mistresses to sexual harassment victims to high-powered politicians, the president has a habit of overlooking and or underestimating the women capable of contributing to his undoing. According to a new nationwide ABC News/Washington Post poll, 60 percent of Americans disapprove of Trump’s performance, 63 percent support Robert Mueller's investigation and 49 percent believe Congress should begin impeachment proceedings. Fifty-three percent of white women put this man in office — but going forward it’s clear he ignores women at his peril.